LDR Photography offers amazing Real Estate and Architectural photography service throughout all of SW Florida. If you need your project, real estate or vacation rental listing to impress your need world class photography that LDR Photography offers. Architectural and Interiors photography takes a special skill set, an extensive knowledge proper lighting and an understanding and appreciation for how a space is designed. LDR Photography offers services for commercial properties Marketing Firms, Real Estate Agents, Interior Designers, Home Builders, Architects, Rental Agencies and Home Owners. With the millions homes on the real estate or vacation rental market today. MAKE YOUR PHOTOS STAND OUT FROM THE REST..... You never get a second chance to make a first impression and we are as passionate about your project as you are. LDR Photography, Architectural, Interiors, and Commercial photographer. 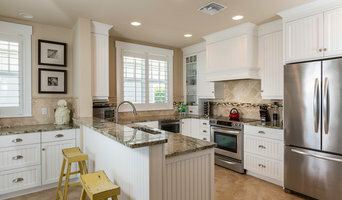 MLS Photo Services provides real estate photography, video, and 3D Virtual tours to help home owners and real estate agents sell or rent their property in Florida. Showcase your real estate tours with high definition video and top quality photos. MLS Photo Services puts together a tour that offers the potential buyer a way to view how their new home feels, looks, and connects, giving them a complete layout of the home. Sun Services SW is a full service commercial photography provider located in Southwest Florida. We serve Naples, Marco Island, Bonita Springs, Ft Myers, Cape Coral and all of the Southwest Gulf Coast. Sun Services specializes in Real Estate, Architectural, Interior Design, Hotel and Resort and Aerial Imaging including Aerial Video and Aerial Photography. Architectural and interior photographer in Naples, Florida. Rick's 40 years of experience in the photography business has given him the experience to produce top quality images for your website, brochures and print advertising. His clients include builders, interior designers, real estate agents and architects in the region. 40/40 Brands Is a Real Estate and Construction marketing agency we specialize in putting you in front of the customer and keeping you there through marketing campaigns, email marketing, mailers and events. Naples is all about lifestyle, give your customers the exposure they deserve. Luxury real estate and architectural photography for interior designers, hotels, architects and realtors. I come from a 15 year appraisal background. I love architecture, real estate and interior design. The devil is in the details and I work very hard to nail the details. I'm extremely easy to work with and every client has enjoyed working with me and I make it a point to ask for feedback. In our field, it's extremely important to carry ourselves well and I strive to be at the highest level of professionalism. Consider me an extension of your business. ATA Imaging offers the best professional real estate photos. Interior/Exterior and certified drone photos, always with a quick next business day turnaround. Phillip Cates is a Naples, FL based real estate photographer specializing in residential and commercial real estate, interior design, and architecture photography. I have a new line of prints for every home decore need. many wonderful scenes, nature prints for every taste. Also working with abstracts and other design elements like fractals. If you would like to see these works on electronics, and other accessories please visit me at www.redbubble/artraven. Before you call any potential photographers, make sure they have good references. Friends who've sold or rented homes before are great resources, as are local real estate agents. Look through each Florida photographer's online portfolio to make sure what you're looking for is being offered. Once you've done that, it's a good idea to walk around your home and write down exactly how many and what types of shots you'll need. Include any specifications you might have, such as angles, things to consider about your home’s Vineyards, FL site, the time of day you think will be best and aspects of your home you want to highlight. Find a home photographer on Houzz. Narrow your search in the Professionals section of the website to Vineyards, FL photographers. You can also look through Vineyards, FL photos by style to find a room you like, then contact the professional who photographed it.